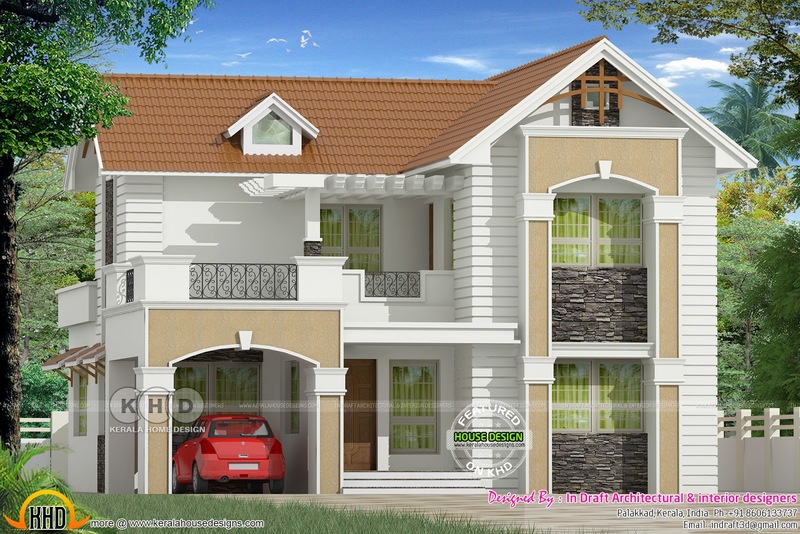 2240 square feet (208 square meter) (249 square yards) 3 bedroom Sloping roof house with dormer windows. Designed by In Draft 3D Designer, Palakkad, Kerala. Ground floor area : 1473 sq.ft. First floor area : 767 sq.ft. 0 comments on "2240 square feet sloping roof Dormer window home plan"